Anyone who works with others to resolve conflicts is in an ideal position to help clients forgive. Without forgiveness, it is common for anger, resentment and hatred to continue festering.long after the external problems - the lawsuit, the divorce, the difficult relationship - have been resolved. Continuing to carry toxic attitudes and emotions comes at a very high cost to one’s physical and emotional well-being, and ultimately we all pay the price for this. Clients need practical solutions, but they also need peace, healing, and closure. Forgiveness provides a vehicle for achieving all of these. This experiential program will provide an overview of the role forgiveness can play in conflict resolution. We will discuss different types of forgiveness and common obstacles to forgiveness in professional settings. We will look at effective ways to talk with clients about forgiveness and what it means to embrace a larger role as peacemakers and healers of conflict. Eileen Barker J.D., is a mediator with 25 years of experience mediating everything from complex commercial matters to employment disputes to family and divorce cases. Eileen sees herself as a peacemaker and healer of conflict. 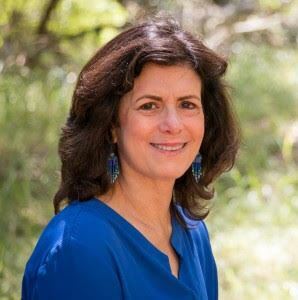 She guides clients to see the opportunity inherent in conflict for healing and growth and integrates emotional healing and forgiveness in her work. In addition to her mediation practice, Eileen leads forgiveness workshops and retreats and provides individual forgiveness coaching. She is the author of the Forgiveness Workbook and Forgiveness Meditation CD. For more on this visit www.thepathofforgiveness.com. "Eileen has transcended the boundaries of traditional mediation practices. Her forgiveness work is inspiring and authentic. I am grateful to her for sharing her wonderful work with clients."